Dr. Daryl Houston is a pulmonologist from Culver City, California and he has been in practice for the past twenty years, being a pulmonary disease specialist. 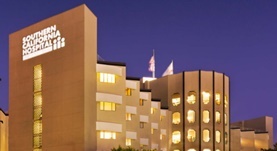 Dr. Houston graduated from the University of California San Francisco School of Medicine and continued his educational path completing a residency in internal medicine at the VA Greater Los Angeles Healthcare System. He is board certified in internal medicine and pulmonary disease. Dr. Daryl Houston has been involved in the research field too. Some of the works he published focus on the risks posed by fats and cholesterol for cardiovascular disease adult patients and the connection between cheese consumption and cardiovascular risks. 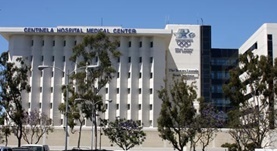 Currently, is affiliated with the Centinela Hospital Medical Center (CHMC) and the Southern California Hospital at Culver City. Dr. Daryl Houston has contributed to 2 publications. Houston, D. K.,Ding, J.,Lee, J. S.,Garcia, M.,Kanaya, A. M.,Tylavsky, F. A.,Newman, A. B.,Visser, M.,Kritchevsky, S. B.; Nutr Metab Cardiovasc Dis. 2010 Mar 27. The association between cheese consumption and cardiovascular risk factors among adults. Houston, D. K.,Driver, K. E.,Bush, A. J.,Kritchevsky, S. B.; J Hum Nutr Diet. 2008 Mar 15.